Eugene S. Robinson Announces Live Reading Appearances in Support of Debut Novel, "A Long Slow Screw!" If you're reading this, than its safe to assume that you're a critical listener of music, meaning you, much like myself, have learned to love music for all the wrong reasons, right? Ok, now that I know we are on the same page, I can address the issue at hand. Once in a blue moon, as the adage goes, a cure for this common ailment comes along... It's associated with music, so it still counts if you're the first to give it the stamp of approval, however it isn't music... it's narrative fiction, so you can't help but approach it in a different fashion... Breathe it in folks! On top of the most likely irrelevant stream of consciousness you hopefully struggled through before you got to this sentence, Eugene S. Robinson as an author is as riveting as his stage presence with the long standing noise rock outfit Oxbow... All things said, on the dates listed below Eugene will be reading from his recent publication A Long Slow Screw, so any and all onlookers are guaranteed the best of both worlds! sidenote: unless prompted Eugene will be keeping his pants on during these readings, so it's slightly safer to bring your significant other to this little get together when compared to a live Oxbow set. Enjoy! 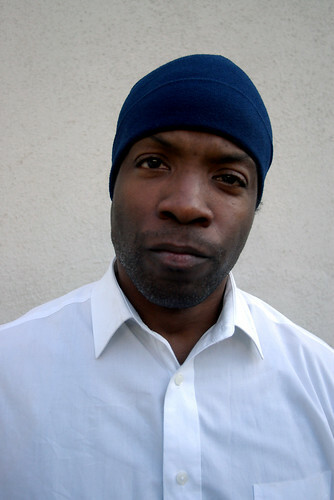 Eugene S. Robinson reads from "A Long Slow Screw"
02/26/2010 New York, NY @ The Stone (10pm) Oxbow Acoustic! Purchase a copy from the HH webstore here!